In the summer of 2017, I was lucky enough to accept a golden ticket to hike the John Muir Trail. The trail is one of the most well known thru-hikes, beginning in Yosemite Valley and ending 211 miles later at the summit of the tallest mountain in the continental United States, Mt. Whitney. I spent 23 days traversing some of the most beautiful landscapes I'd ever been witness to, and along the way I learned a lot about myself and about life in general. 1: The summit isn’t where you learn who you are or what you’re made of. It’s somewhere during the climb. 2: Wildflowers offer a beautiful lesson in resiliency. 3: If there’s a hell, it’s surely filled with mosquitoes. 4: You can literally never have enough salty snacks or cheese flavored snacks. 5: People are really, really fascinating beings and we are magical storytellers. 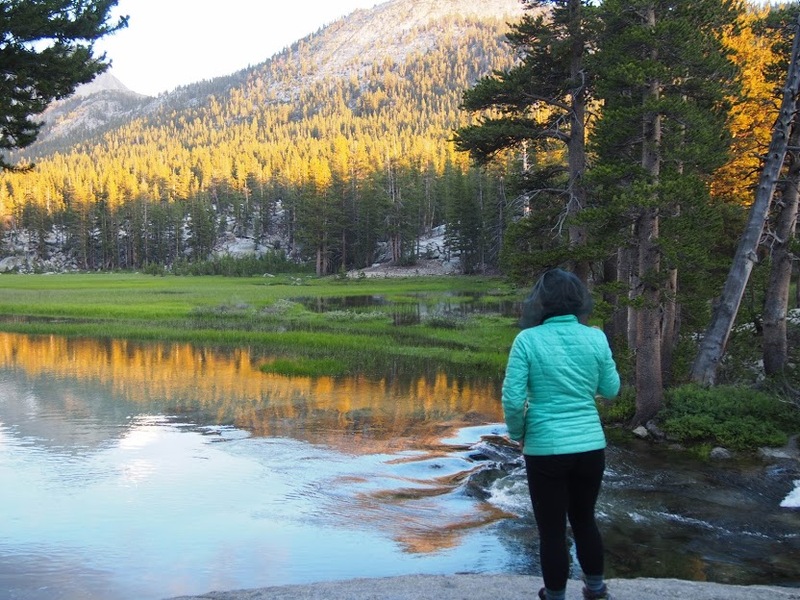 Everyone hiking the John Muir Trail had interesting stories to share and had experienced so many wonderful things along the trail. Being without cell phones or televisions or any other distractions forces you to really listen to people and connect with them. It gives you space to really understand people. If someone makes a campfire, go out and ask to join them. This feeling is something you’ll miss most when you’re off the trail. 6: French manicures are a gift of the trail. Also, did you know that the skin on your fingers is significantly more sensitive to sunlight? And trekking poles put your hands in perfect sun exposure? Yeah, finger sunburns hurt. 7: When you’re crossing a raging river over a log, whatever you do, stare at the log and not the water. Remember how much of it is mental. 8: Somewhere around pass number 4 or 5, you’ll realize you’ve been doing the same thing for a while now. Climb a pass, drop down into a basin filled with beautiful lakes, and start climbing again. It’s just a series of ups and downs. It’s not that it gets easy or boring, you just become more sure that you’ll make it. When you get home you’ll realize that’s a lot like life. 9: Seasonings are a game changer. They make every backpacking meal taste 100% better. Salt. Pepper. Red Pepper Flakes. Taco Bell Sauce. Sriracha Sauce. Garlic Powder. Seriously. Game changers. 10: Your body is an amazing and powerful vessel that allows you to see so many unreal beautiful places. After spending 23 days without a mirror, you’ll honestly forget what you really look like, and you’ll focus a lot more on the functionality of your body rather than its appearance. You’ll feel liberated in a way you’ve never felt before. 11: Saving hot chocolate for the top of Whitney for 10 days even though I wanted it 9 out of 10 of those days was completely worth it. 12: When you get home, the line at the ladies room, LA traffic, and sitting for 8 hours a day will drive you ten times crazier than before the trail. 13: Wearing the same pair of socks every day isn’t as gross as it sounds. Darn Tough socks really are darn tough, though they do get crunchy. You’ll also just never really be clean for 23 days, so putting on dirty clothes isn’t as big of a deal. 14: It’s not always easy to get out of your sleeping bag early in the morning and the idea of walking all day won’t always sound fun, no matter how much you really love it. But, by mid-day you’ll always remember why you’re out there. 15: Sometimes, after walking literally all day long, the thought of walking 10 feet off the trail is worse than the thought of a stranger seeing your hoo-ha. 16: Morning miles are the best miles. Unless you're on the side of an icy pass with no traction devices (I'm lookin at you Mather Pass). 17: Melted snickers are best eaten before 9 a.m. because they solidify overnight. But, if you leave it in the top of your bear canister, it probably won't make it through the night... oops! 18: Getting out of bed to look at the stars is always worth it. 19: The trail can be really, really busy at times, especially compared to most of the back country Sierra. You’ll learn that happiness is as simple as good company and a good view. And being around people doing what they love everyday will make you a better person. 21: The closest thing most people will have heard of to the JMT is the movie “Wild”. Also, a lot of people will think you’re slightly crazy for wanting to spend 23 days walking 10 miles a day and not showering. 22: If you make a plan, it will surely go wrong at some point or another. Being flexible, patient, and trusting that things will work out eventually is so important. 23: I used to think radical self love was impossible for me. But walking for 23 days was the most radical form of self love I’ve ever known. I’ve realized every step is a love letter to every version of me. 23 days on the trail was a process of walking away from the woman I was and into the woman I’m becoming. I have learned that is the foundation of self-love: forgiveness for who you were, courage for what you are to become, and humility for who you currently are. Melia is the Ambassador for our Orange County chapter. This entry was originally written on her personal website, which can be found at Melia In the Mountains. 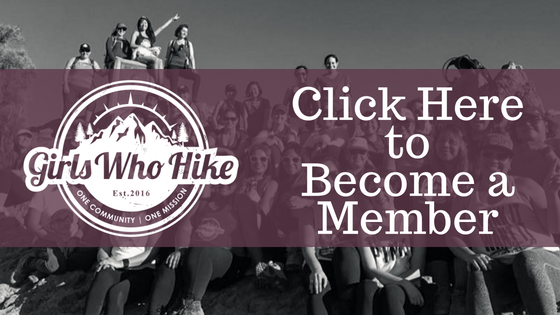 To join her local meet ups and discussions through the Orange County, CA chapter, click here. Gear Spotlight: My Favorite Hiking Day Pack!